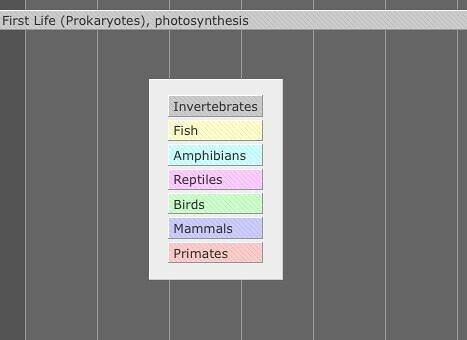 On AndaBien, web designer Steve Rose pursues his extra-vocational enthusiasms… among them, evolution. His Evolution Timeline is a marvelous evocation of the sheer temporal scale of our antecedents. * The background indicates inches and feet. 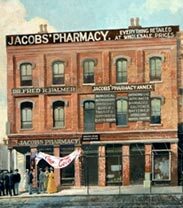 As we struggle with the recent revisions to the tree of life and the suggestion that humans are more closely related to fungus than to plants, we might recall that it was on this date in 1886 that Coca-Cola was first sold to the public at the soda fountain in Jacob’s Pharmacy in Atlanta, Georgia. It was formulated by pharmacist John Stith Pemberton, who mixed it in a 30-gallon brass kettle hung over a backyard fire. Pemberton’s recipe, which survived in use until 1905, was marketed as a “brain and nerve tonic,” and contained extracts of cocaine and (caffeine-rich) kola nut. The name, using two C’s from its ingredients, was suggested by his bookkeeper Frank Robinson, whose excellent penmanship provided the famous scripted “Coca-Cola” logo.